The fifth anniversary of the revolution which toppled Hosni Mubarak is being remembered in Egypt. However, with the government cracking down on street protests, much of the commemoration is going on online. Analysts, however, argue the conditions are in place for another uprising in Egypt. In a speech marking the Prophet Muhammad’s birthday last month, Egyptian President Abdel Fattah el-Sisi warned critics not to hold protests on January 25, the fifth anniversary on the 2011 popular uprising, saying a new revolt could destroy the country. “Why am I hearing calls for another revolution? Why do you want to ruin [Egypt]? I came by your will and your choice, and not despite it,” Sisi told the hand-picked audience of politicians, media pundits and members of Egypt’s newly elected parliament. Sisi’s words, greeted by a roar of applause, revealed the regime’s fears that another popular uprising may be brewing. As Egypt nears the fifth anniversary of the uprising that ended three decades of Hosni Mubarak’s rule, analysts and activists say the regime is imposing a “reign of terror” to deter people from marking the day. Security forces have stepped up their crackdown on activists: On January 7, police arrested three administrators of Facebook pages allegedly promoting anti-government protests on January 25. Four journalists, along with members of the April 6 Youth Movement, have also been arrested. In addition, earlier this week, security forces conducted mass searches of flats, primarily in downtown Cairo near Tahrir Square, the heart of the 2011 protests. Hundreds of Egyptian revolutionaries and regime opponents are already behind bars, and the religious establishment has described those calling for a new round of January 25 protests as “weak believers who carry extremist ideas”. “The spirit of the January uprising continues to pose a threat to the regime, despite the fact that none of the known revolutionary forces actually called for protests, to my knowledge,” Khalil al-Anani, a political science professor at the Doha Institute, told Al Jazeera. While it is difficult to predict when uprisings will take place and in what form, the regime’s concerns do not seem entirely imaginary, analysts say. “There is likely just as much support today for an uprising as there was on January 25, 2011,” Wael Haddara, a former adviser to Egypt’s deposed President Mohamed Morsi, told Al Jazeera. The social and economic grievances that led to the 2011 uprising are present in ways quite similar to 2010, Haddara added. Other analysts concurred, citing a raft or problems in Egypt today: a worse dictatorship than before the 2011 uprising, brutal police practices, the targeting of activists and journalists by security forces, a deteriorating economic situation, and a newly elected parliament that is dominated by pro-government figures. “While the Egyptian state of 2010 was brutal in some ways, that of 2015 is far more so,” said Michele Dunn, the director and a senior associate with the Middle East programme at the Carnegie Endowment. The government has succeeded to some extent in rebuilding “the wall of fear between citizens and the state”, Dunn told Al Jazeera. But with a spate of industrial actions picking up steam in recent weeks, coupled with an increase in “the mass of unemployed” and simmering popular discontent over the widening gap between what Egyptians were promised and what has been delivered to them, analysts say the regime has reason to worry. Although street protests have all but dried up in Egypt since an anti-protest law was passed in November 2013, popular unrest has not completely burned out. Last August, thousands of public sector workers took to the streets in one of the biggest street actions since July 2013, when a military coup led by Sisi deposed Morsi. The workers were protesting against the civil service law issued last March, which they say negatively affects up to seven million civil servants by decreasing their income, increasing the managerial powers of administrators and introducing regulations that threaten basic workers’ rights. Gilbert Achqar, author of the book The People Want, noted that Egypt’s 2011 uprising came after five years of significant developments in the struggle of Egyptian workers. “The wave of labour strikes was instrumental in precipitating Mubarak’s downfall. 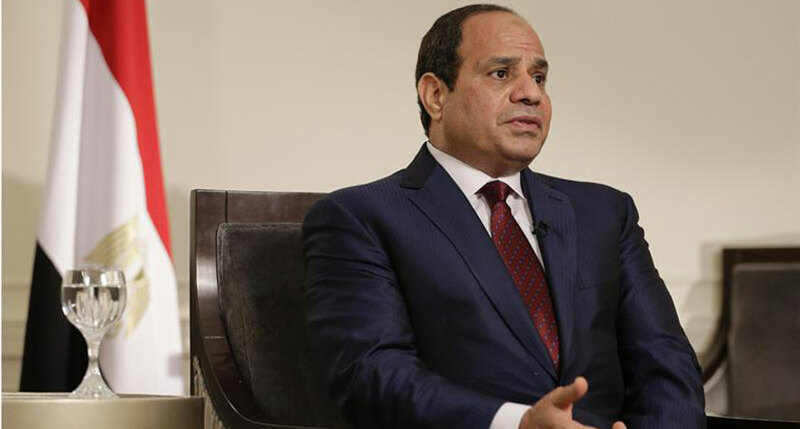 Whether Sisi will face the same fate is a big question,” Achqar told Al Jazeera. On January 9, Democracy Meter, an NGO that monitors the Egyptian labour movement, issued its annual report on Egyptian industrial actions, citing 1,117 labour protests throughout 2015 – an average of around three each day. Another cause of concern for the regime is the wave of public anger that has followed a number of recent deaths in police stations. Over the past two months, thousands of citizens have taken to the streets in Luxor and Ismailia governorates to protest against the killings of Talaat Shabib and Afify Hosny, reportedly tortured to death by police. Incidents of police brutality and the ensuing lack of accountability were among the driving forces behind the 2011 uprising. The simmering unrest in Egypt today indicates that the public sphere has yet to be brought completely under military and police control, analysts say. “Securing popular support, or at least ending widespread discontent, is necessary for the construction of a military-backed regime under Sisi,” said Amr Adly, a senior researcher at the Beirut-based Carnegie Middle East Center. Some observers, however, prescribe caution, suggesting that fears of a repeat of 2011 are overblown. While the anniversary of the uprising remains an open wound in the view of many Egyptians, the fissures and schisms that divide the disparate factions, whose unity once made history in Tahrir Square, appear beyond mending, as they still suffer from a lack of leadership and vision. “It is unlikely that the generals’ dominance will be met with the kind of unified challenge that toppled Mubarak,” one analyst told Al Jazeera on condition of anonymity. Still, there are continuing calls for another revolution. Late last year, an unknown group of activists issued a call for demonstrations on the revolution’s anniversary through a Facebook event, to which at least 50,000 people registered their attendance. Another group advocating an uprising against the Sisi regime initiated the hashtag #WeAreBackToTheSquare, while others have used the hashtag #IParticipatedInTheJanuary25Revolution. An organiser of the Facebook event told a local news website that “reclaiming the revolution” was among the group’s goals. But other activists were sceptical, saying they did not expect this anniversary to be any different from the last one, and predicting that it would be mainly characterised by demonstrations of small numbers of people and random arrests. The problem with calls for another revolution is that they are abstract and not based on any political organisation, Khaled Abdel Hamid, a leftist activist who participated in January 25 uprising, told the local website Mada Masr. “Revolutionary groups need to organise themselves, learn lessons from previous years, and reach a consensus on the form, methods and the slogans necessary to face the counter-revolution, which is a difficult matter and needs time,” he said. Egypt’s shift from a full revolution to the nearly complete restitution of the pre-revolutionary regime is “Mubarakism without Mubarak”, Adly noted. While the economic situation in Egypt today is crucial, there are other factors at play. The reconstitution of Mubarak-style rule is unlikely to be durable for many years, considering Egypt’s restive youthful population and the dim economic outlook, Dunn said. “If public opinion turns against Sisi after two years of his rule without economic improvements, more turmoil in the form of another popular uprising and another military coup could well be in the cards,” Dunn said. According to Haddara, the two barriers that fell during the 2011 uprising were fear and expectations of violent repression.